Midway had been under the gun since December when then majority shareholder Sumner Redstone sold off his 87.2% stake in the company. 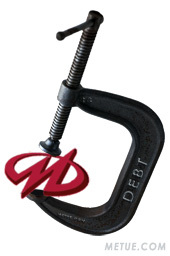 Redstone’s firesale triggered early debt repayment clauses that put Midway on the hook for settlement of more than $150m in outstanding notes that otherwise wouldn’t have been due before 2025. The default on those loans (which becomes automatic with bankruptcy), in turn, will trigger another $90 million in obligations to Redstone’s National Amusements that are shared with Mark Thomas, the buyer of Redstone’s shares through a participation agreement. The company had a “solid” fourth quarter with shipments of Mortal Kombat vs DC Universe nearing two two million units and TNA IMPACT! nearing 1 million shipped, Booty said. According to the bankruptcy filing which Metue has obtained a copy of and has embedded below, the company reports total assets of $167.5m and total debt of $281m. Blank Rome, LLP is acting as the company’s lead bankruptcy counsel. Lazard will continue to advise as Midway’s investment bankers . Some of Midway’s creditors affected by the bankruptcy beyond the holders of principal notes include NBA Properties, Warner Brothers Interactive Entertainment, Epic Games and major retailers. The following is a list of some of the claims from the bankruptcy filing. (a full table is in the filing at the bottom of this page or here as a PDF file).